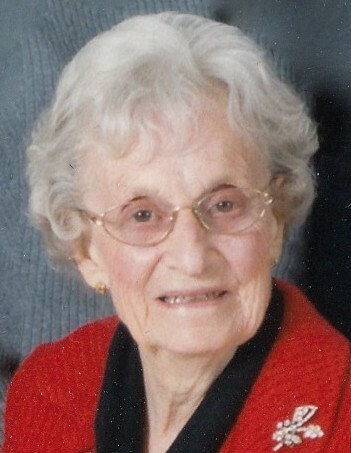 Valda Vere (Fruit) Collier of Pierceton, Indiana passed away 12:25 a.m. on Thursday, April 4, 2019 at Parkview Whitley Hospital in Columbia City, Indiana at the age of 96. She was born on June 2, 1922 in rural Packerton, Indiana to Ruth (McFarren) Fruit and Frank Fruit. On February 14, 1946 she was married in Warsaw, Indiana to Charles Robert Collier, they shared 68 years of marriage before he passed away on April 22, 2014. She was a lifetime resident of Kosciusko County, Indiana and a 1940 graduate of Pierceton High School. Valda and her husband, Charles, started Collier Oil Company just outside of Pierceton in 1956. Together they ran the company for 35 years until its closing in 1991. She was a member of Pierceton Presbyterian Church and enjoyed being a 75 year member of the Order of the Eastern Star. Valda enjoyed sewing and traveling, she and Charles were able to visit all 50 states. Most of all she loved being at home with her family, this past Christmas she had 134 stockings hung. For the past five years she had been lovingly cared for in her own home by family members. Valda will be dearly remembered as a loving wife, mother, grandmother, and great-grandmother…she will be forever loved by her family and friends. She is survived by her five sons: James (Linda) Collier (Warsaw, Indiana); Lew (Terri) Collier (Warsaw, Indiana); Chuck (Lise) Collier (Pierceton, Indiana); Tim (Deborah) Collier (Pierceton, Indiana); Mark Collier (Sidney, Indiana); three daughters: Sharon (Harold) Lehman (Pierceton, Indiana); Colleen (Mike) Trueblood (North Manchester, Indiana); and Marsha (Greg) Holmes (Angola, Indiana). She also leaves behind her beloved 26 grandchildren and 60 great-grandchildren. She was preceded in death by her parents, husband, three brothers, and her daughter-in-law, Pam. Visitation will be held on Monday, April 8, 2019 from 3:00 – 8:00 p.m. at Redpath-Fruth Funeral Home, 225 Argonne Road, Warsaw, Indiana; and an hour prior to the service on Tuesday, April 9, 2019 from 10:00 – 11:00 a.m. Her life will be celebrated on Tuesday, April 9, 2019 at 11:00 a.m. at Redpath-Fruth Funeral Home and officiated by Pastor Eric Trump. Burial will follow with a graveside service at Hillcrest Cemetery in Pierceton, Indiana. Memorial donations may be directed to Parkview Home Health & Hospice, 105 N. Madison Street, Columbia City, Indiana 46725 and would be appreciated by the family.